En el equipo europeo ganador capitaneado por P. Guerdat también compiten el británico H. Charles, el alemán Daniel Deusser y el francés E. Levy. An eventful first round and a breathtaking second round eventually decided chef d’équipe Philippe Guerdat had the best strategy. Riders Europe proved unbeatable in the first leg of the third edition of the Riders Masters Cup. Will Riders USA be able to fight back at the 3rd edition of the Riders Masters Cup in New York, April 27th, 2019? Two Masters Two classes started the day with a bang. The 1.35m Europe 1 class was won by Great-Britain’s Jessica Mendoza, while France’s Olivier Guillon scored his second win of the weekend in the 1.45m Masters Two Le Figaro. 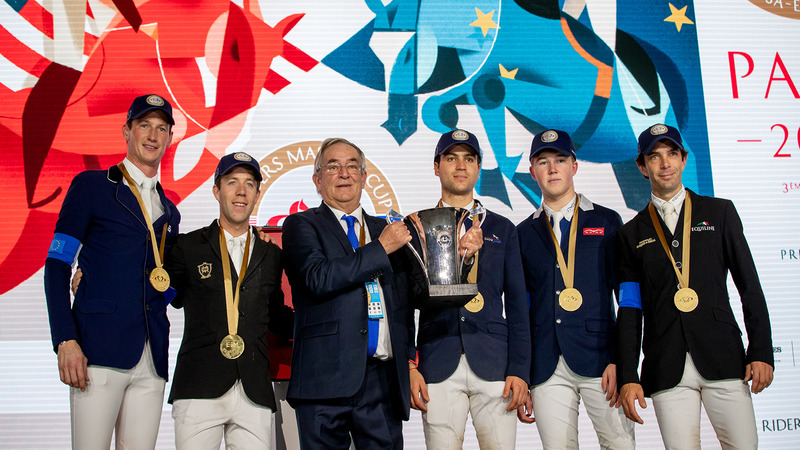 A glamorous show by the BlueBells Girls and the Lido Boys of the famous cabaret Lido de Paris, partner of the Longines Masters of Paris, announced a spectacular Masters Power. 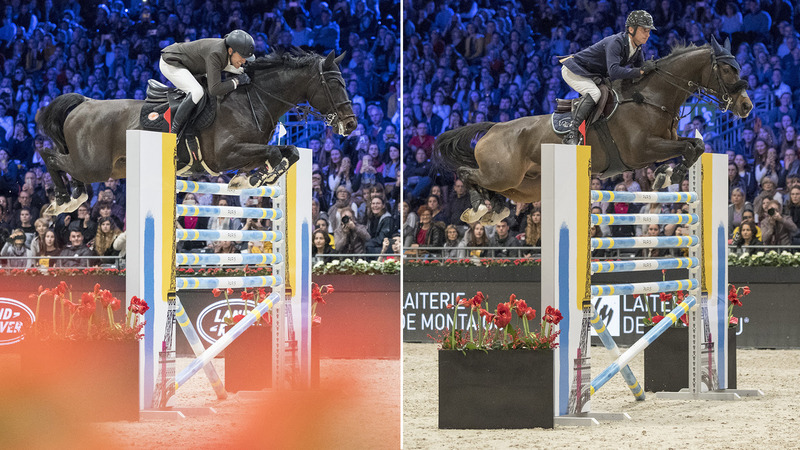 The crowd could not believe their eyes when, Simon Delestre and Denis Lynch managed to jump 1.92m for a joint win in the six bars competition. The Masters Three riders and horses then had the run of the arena before a night of celebrations in honor of the 10th anniversary of the Longines Masters of Paris, Charlotte Stuart was the fastest and took home the Masters Three Baobab Collection. A night of Sports, emotion and passion shared with the guests for this special magical event. The Masters One Ceneca / Salon du Cheval-1m50 began the evening. Starting with 37 riders, only 10 qualified for the jump-off. After a fantastic round, Kevin Staut takes first place, beating Simon Delestre and Daniel Deusser. Ending the day with the intense Longines Masters of Paris Riders Masters Cup. After a day of intense sports, it’s time to party! To celebrate the 10th edition of the Longines Masters of Paris, the public danced the night away in the heart of the Prestige Village, dressed in "Black and White", to the beats of Henri PFR.